Fan A: YAY! The Mets won. Fan B: Who cares? The season is over. Fan A: C’mon man. A win is a win. Ya Gotta Believe! Fan B: Not really. By winning now the Mets hurt their future. Fan B: It makes sense for the Mets to tank and get a better draft slot. As rational thinking people, we need to ask which side is right. Is it more beneficial in the long run for the Mets to tank and get a better draft slot or to win more now? The case to tank is simple. In Major League Baseball, the draft is done from worst to first. More loses equals a higher pick. In 1993, the Mets had 103 losses, which was the most in the game. The following year, the Mets picked Paul Wilson with the first overall pick. Wilson lead the Mets to many pennants, so we can all be thankful that the team has such a terrible 1993 campaign. (That last sentence may not be entirely accurate.) The argument goes that once a team is out of contention, it is better to lose and get a better draft slot. This not only means having a higher draft slot in the first round, but all subsequent rounds. Paul Wilson- The most recent Met to be taken with the first overall pick. A top draft pick has the potential to turn a team around. Since 2000, there is no shortage of players who were selected with a top five pick who dramatically improved their team. The first overall picks include guys like Joe Mauer, Adrian Gonzalez, Carlos Correa, Bryce Harper, Stephen Strasburg and David Price. Sure, there are duds like Matt Bush, Mark Appel, Tim Beckham and Bryan Bullington but in general, top picks turn into good players. When you look at picks 2-5, once again there are many strong players such as Justin Verlander, Manny Machado, Evan Longoria, Buster Posey and Mark Teixeira. So, let’s look at the data since 2000. Do higher draft first round draft picks yield better players? There are several ways to measure this. To keep things uniform, I used career WAR as the stat to judge all players. Logic would dictate that on average, the higher the pick the higher the WAR. While this is the general trend, the data isn’t so clear cut. The combine WAR of all players taken first overall is 273.7, but drops after this. In fact, the population with the highest WAR after the first pick is the seventh. Players taken fourth overall have a far lower WAR than those taken eleventh. In fact, the graph shows that the fifteenth pick tends to do better than the eighth by a wide margin. To be fair, just measuring the total WAR could be flawed. All you need is a handful of good players taken with that pick to throw off the data. This next graph shows which players taken were impact players. To keep things simple, I decided that anyone with a career WAR to date of at least 10 is an impact player. The data below shows similar trends. For whatever reason, players taken with the third and fourth selections are not as good on average as one might have thought. With that said, both graphs show that best chance of getting an impact player comes in the first two rounds. In fact, if you look at the top 15 players this season in terms of WAR, the only player that was a top five pick was Alex Bregman. So, if someone says that the Mets should tank so that they get the sixth selection as oppose to the eleventh, kindly show that person that the data doesn’t support the claim. The reason why the draft in baseball is so unpredictable is because of the nuances of the game. The MLB is not like the NBA, where a top NBA pick is expected to be an impact player right away. MLB players first spend years in the minors before becoming major league worthy. Projecting talent and health is extremely difficult. Even if the data above wasn’t convincing, consider the standings. Last season the Mets had 92 losses and got the sixth overall pick. The teams that got the top two picks tied for 98 losses. This year’s basement dwellers are far worse. Based on winning percentage, the Mets are currently in a three-way tie for the ninth worst record (on pace for 89 losses). The Orioles are on pace to lose 115 games and the Royals 108 games. The Tigers, White Sox, Padres and Marlins look like they will each lose around 95 games. This means that the probability of the Mets getting a pick higher than the seventh is unrealistic. 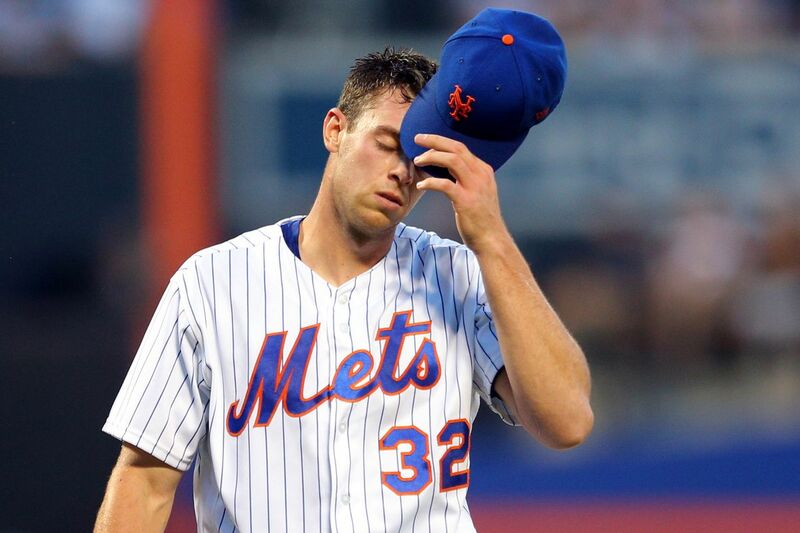 Even at the low point in the season, the Mets were 37-54. There were still three teams worse. Since that point, teams like the Padres and Marlins, Reds and Tigers have been in free fall mode. In short, the Mets never really had a shot at a top pick anyway with all the horrendous teams this year. There are other more obvious reasons for not tanking. Teams don’t change its players overnight. It is why you want to end the season on a high note. It is important for players to feel that they are on a team that was respectable and they are close to competing for the playoffs. When the Mets win, it is because their players are performing well. In addition, free agents who are looking to find a winning team are more likely to go to one that is on the cusp of being competitive as oppose to rebuilding. How many top free agents are looking to go to teams like KC, Miami or Baltimore? As fans, we want to feel good about our team. The more the Mets win, the happier we are. The case for tanking and getting a high draft pick is mediocre at best. The reality is that it is better for the team to end the season on a positive note. I don’t think players tank. They are all trying to do their best. They are competitive creatures. It’s ridiculous. Nobody wants to list. It’s a fantasy. I would never root for my team to lose.